Located in Putnam Valley, New York, Sky View Estates is a one of a kind development opportunity that merges country living with unparalleled amenities. 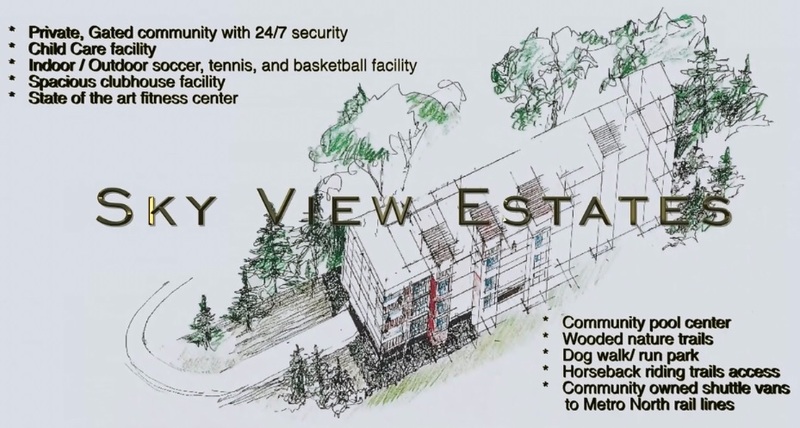 Targeting families with young children, Sky View is envisioned to be a premier, yet affordable private gated community with unique amenities and amazing views of the lower Hudson Valley. Sitting on top of Piano Mountain and just south of Fahnestock State Park, the property is barely half a mile from the Taconic Parkway, 20 miles north of White Plains and 48 miles from Midtown Manhattan. For more information or to discuss this exclusive listing offered by Safe Harbour Real Estate Group LLC please contact us.